Too many times have i been lost for words this year and now yet again i find myself speechless. I actually have tears welling in my eyes as i type this as i did when i heard of Keith Emerson’s tragic death earlier in the year. Like Keith, Greg lake lake made a massive impression on me when i was little more than a child. On hearing his voice throughout albums like “In The Court Of The Crimson King” and his powerful bass playing on every Emerson,Lake & Palmer album i was smitten. In the early days of Prog Greg possessed without doubt the purist and enchanting of all the bands of the time. Yet he could move his vocal prowess up a gear or two when required. 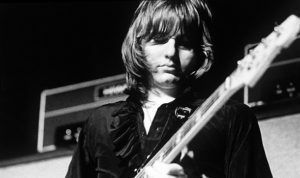 I find it difficult to put into words the effect the passing of Greg Lake and Keith Emerson has had on me. They moulded my musical tastes and likes. there influence lead me to explore classical music, jazz and art. I have so much to thank them for. From being a gooey eyed boy to a tearful middle aged man these icons have been in my psyche and in my heart. From myself and team Progmeister i can only convey our condolences to Greg’s family. I have always considered hero worship a very bizarre concept and one that i have never felt in tune with, though i have never considered Greg Lake or Keith Emerson hero’s. Instead i care to think of them as icons of may things i hold dear and an important part of my life and who i am. rest easy Greg, there will be someone at the piano when you arrive. Peace, Love and eternal light. Steve Petch AKA The Progmeister.